Prudence Waithera is a class 7 pupil at Safenest Junior School in Kiserian. Her father passed away when she was young, and her mother, who is a close partner of Moja Tu, has been having trouble picking up the pieces. Her mother manages Sons of Manaseh Children's Home, where many of our students have grown up. Prudence’s mother is exceedingly compassionate and generous with the home’s time and resources. She is a mother to everyone who comes through her doors; she has also had trouble with making sure her own children are able to attend secondary school. Despite the difficulties her large family faces, Prudence always strives to do well in school. To this end, she has been very successful, earning an impressive 350 out of 500 marks in her latest round of exams. She wants to be a lawyer and has her sights trained on being a human rights advocate. To prepare for her future career, she joined her school’s legal club where she and her classmates can discuss all things law. In addition, she is the assistant prefect of her class and a member of her school’s drama. She and her clubmates competed in drama competitions up to the sub-county level this year. Together with her fellow drama club members, Prudence has been instrumental in educating her classmates and community at large about HIV/AIDS, environmental conservation, and the importance of education. Prudence truly leads by example. During her free time, she can be found either playing netball, basketball or volleyball. She also helps her mother with chores around the children’s home, and often helps the younger students with their homework. In today’s crazy world, with injustices occurring in every corner of the globe, we will need brave advocates like Prudence to help us right what is wrong. Help Prudence become all she is meant to be by sponsoring her today! 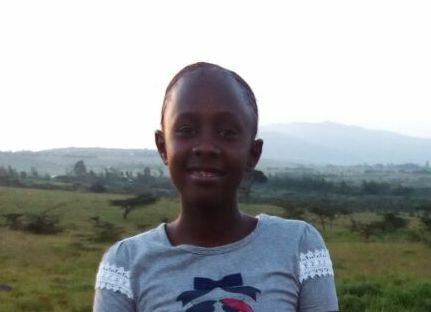 Sponsoring Prudence's secondary education is $85/month. Thank you for sponsoring Just One!